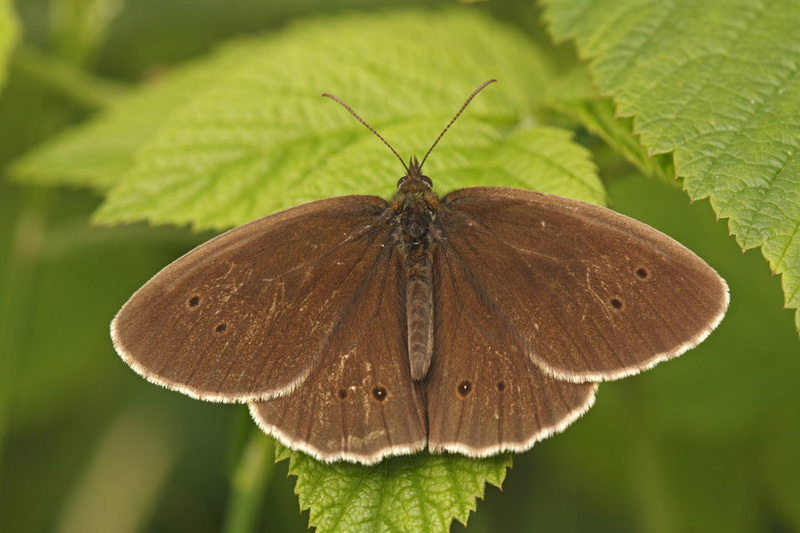 The male upperside is velvety black when fresh, fading to sooty brown as it ages. It usually had two eye-spots on each wing but these are often so indistinct that the wing appears unmarked. 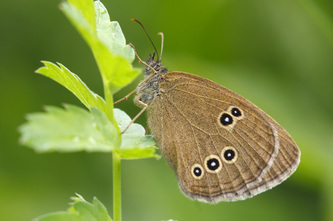 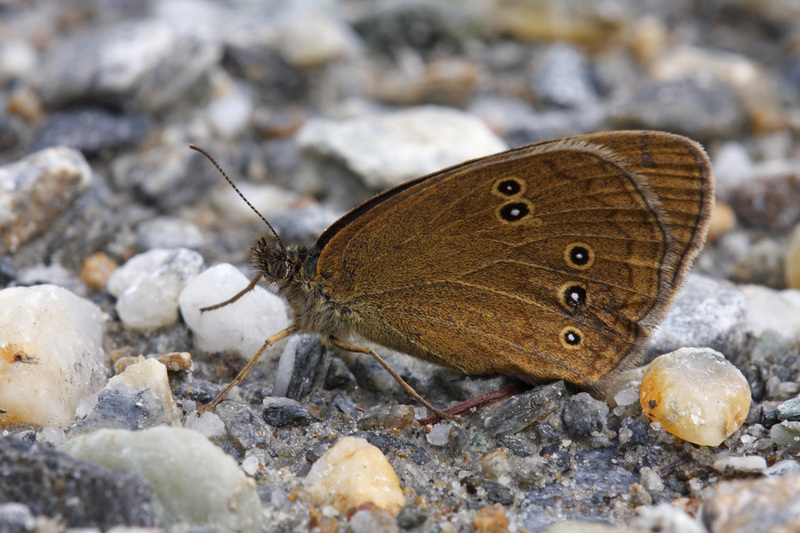 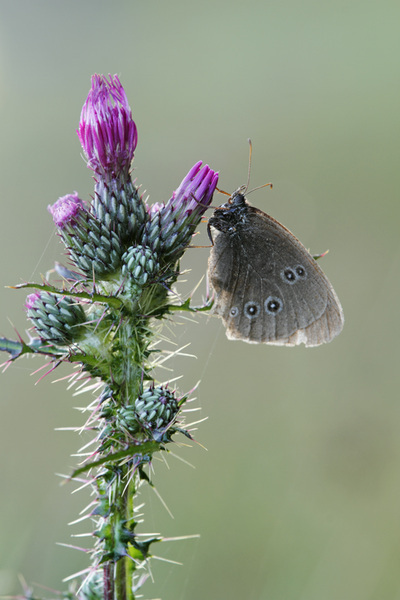 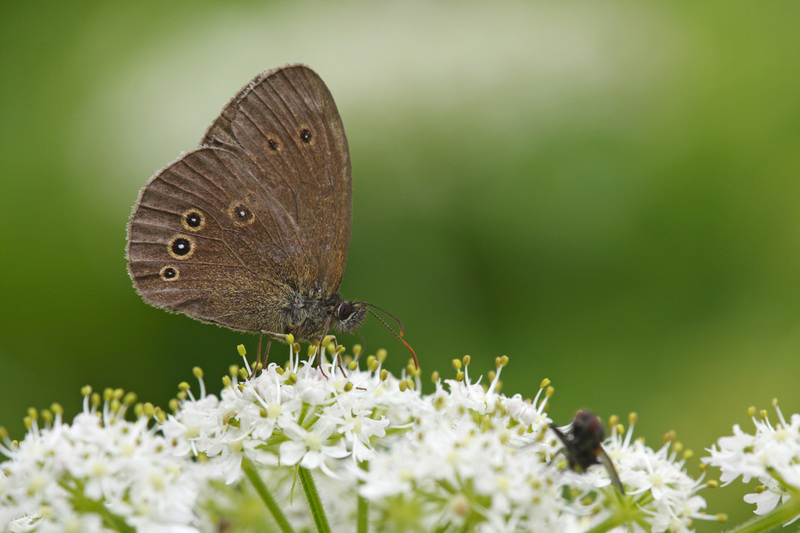 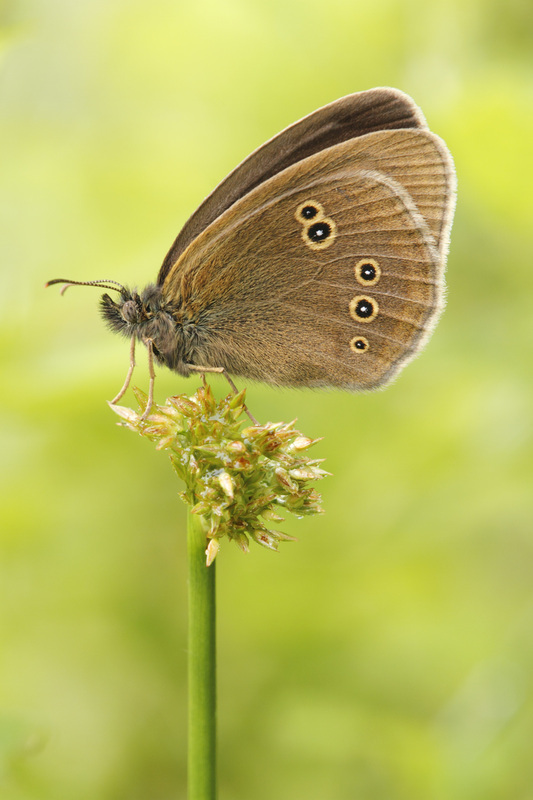 The femal upperside is always sooty brown and always has two or three eye-spots, although these are not always easy to see. 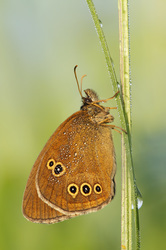 In both seces the underside is brown, ofte with a yellowish sheen, and has a variable numer of yellow-ringed eye-spots on the ouder half of each wing. 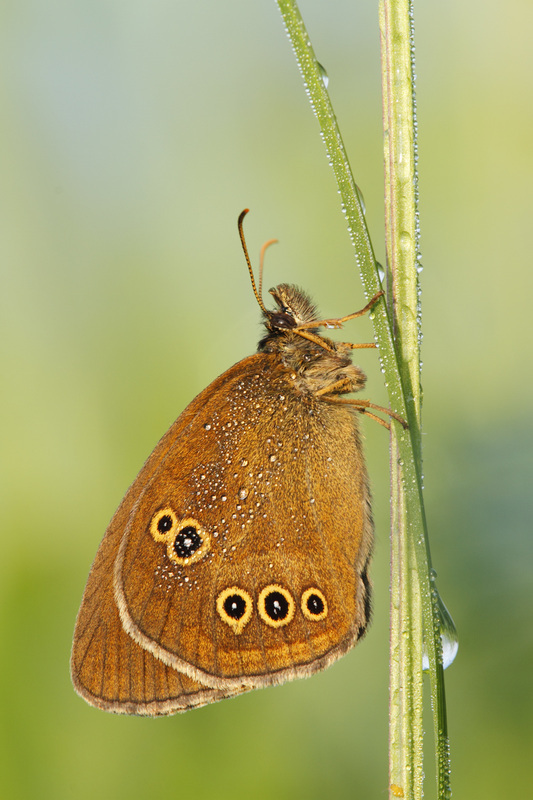 Flight from June to August in one single brood. The larval foodplants are several grasses.